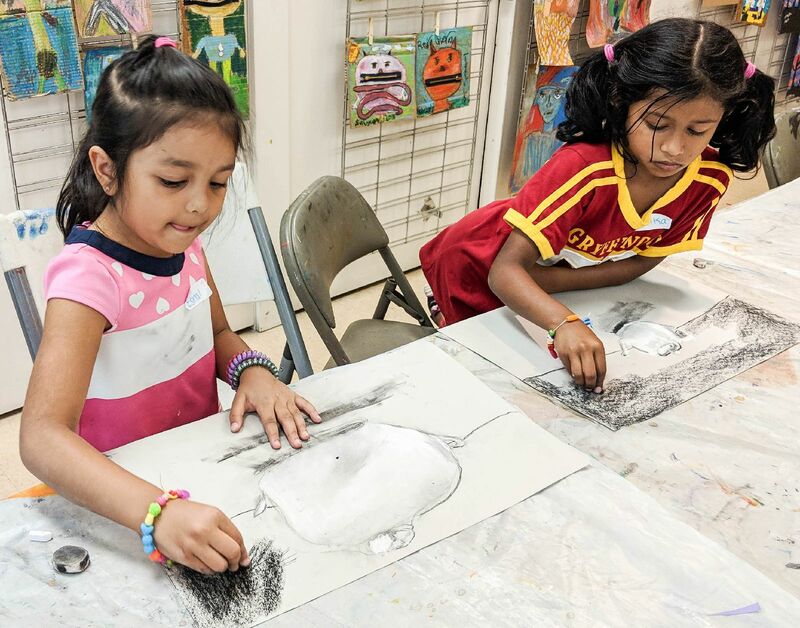 In this class, little artists (and their parents or caregivers) will explore and cultivate creativity through various visual art mediums. Young ones will experiment with a variety of media while developing their fine motor, sensory, and learning skills, such as how to hold and use pencils, scissors, paintbrushes and more. This class is about having fun while getting our artistic juices flowing. With a flexible and positive environment, our tiny apprentice’s imaginations will be nurtured and soar! About the Teaching Artist: Anusha Saran is a mixed media artist from West Windsor, NJ who is best known for her multi-media paintings with intricate fine line pen details. Her work has been exhibited and won several awards in India and US. She has a BA in Architecture and Masters in Design from National Institute of Design (NID), India, specializing in Ceramic and Glass Design. She started teaching art to children and loves to share her knowledge of design experience to help them explore their creative edge.